Bosnian authorities said migrants attempting to enter the country illegally increased by 500 percent last year, compared to 2017. A report by Bosnian border police said unauthorized entries into the country went up by 500 percent in 2018 compared to 2017, according to the newspaper in Banja Luka, Nezavisne Novine. The report cited the border police director Zoran Galic. Border police expect arrivals to continue to increase as the weather improves, making Bosnia one of the most important routes for migrants trying to enter Europe illegally. In 2018, police intercepted 4,489 migrants in Bosnian territory who had entered the country illegally; that was 3,723 more than the 766 intercepted in 2017. "What is certain is that with warmer days we expect a more complex situation because in Greece new migrants are continually arriving," Galic said. 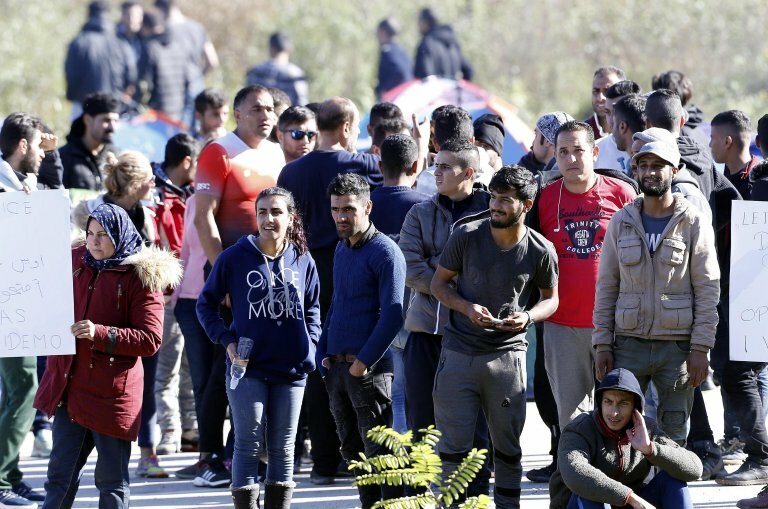 Dozens of migrants were injured, three seriously, in a huge fight that broke out Friday evening in the Bira reception center in the northwestern city of Bihac. Local media said two police officers were also injured and that there was substantial damage to a building. Guards at the center were unable to control the fight and thus called the police. The reason for the fight is unknown. Police identified a total of 33 people as having possibly instigated the fight, and detained 11 people: eight Afghanis, two Indians and one Pakistani. Some media sources said police stopped as many as 50 people. It took officers a few hours to bring order back to the center, which hosts nearly 2,000 migrants and refugees. A few dozen participants in the fight were treated for injuries, and three had serious injuries. Police in Croatia in 2018 arrested about 600 people involved in migrant trafficking, double the number of the previous year. The majority of those arrested were already suspects or even standing trial for previous migrant and refugee trafficking offences from Bosnia to Slovenia, through Croatian territory. Many of those arrested are citizens of neighboring countries, in particular Bosnia and Serbia. In five cases, traffickers attempted to attack police officers. The number of migrants trying to reach the west through the Balkan route has sharply risen. The so called 'Balkan route' —through Albania, Montenegro, Bosnia-Herzegovina, Croatia and Slovenia — became active after closure of the route that crossed Macedonia and Serbia to reach Hungary or Eastern Croatia.